Just over the bridge from resort neighbor Hilton Head Island, the coastal town of Bluffton is a more close-knit community known for its Lowcountry charm and southern hospitality. With over 47 miles of water frontage along its winding salt marsh creeks and rivers, Bluffton is great for water enthusiasts and boat lovers. Money Magazine has even recently ranked Bluffton as one of the best places for waterfront living in the entire country! Without a doubt, one of the best things about Bluffton is its Lowcountry charm and true southern hospitality. The Lowcountry lifestyle is so popular here that in fact, the town’s official slogan is “Bluffton: Heart of the Lowcountry”. Outside of Old Town, the greater Bluffton area is a booming community with great schools and many modern conveniences and services. Real Estate opportunities vary as there are a wide variety of neighborhoods and lifestyles to choose from. If you are looking for a golf community with homes in the $200,000 – $500,000 range, neighborhoods such as The Crescent, Island West, Eagles Pointe, and Pinecrest are all great options. If you prefer a community with both golf and salt water access, Oldfield, Rose Hill, and Moss Creek are all good options with homes ranging from $300,000 to $1 million +. Looking for a luxury home that will ‘knock your socks off’? Palmetto Bluff, Colleton River Plantation, Belfair, and Berkeley Hall are all great golf and water-oriented gated communities with high-end, custom built, luxury homes. 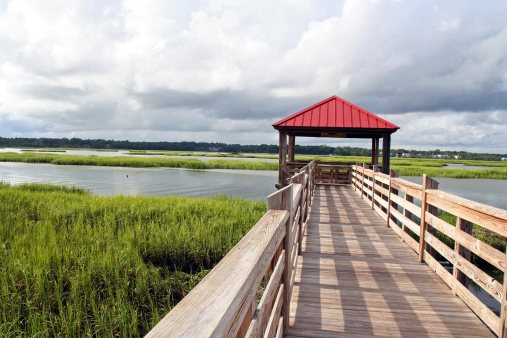 While these are just a few of our favorite neighborhoods, Bluffton has many more to offer. If you are considering relocating to Bluffton, please CONTACT US and let a Bluffton expert help you today! CLICK HERE to view all current real estate opportunities in Bluffton!